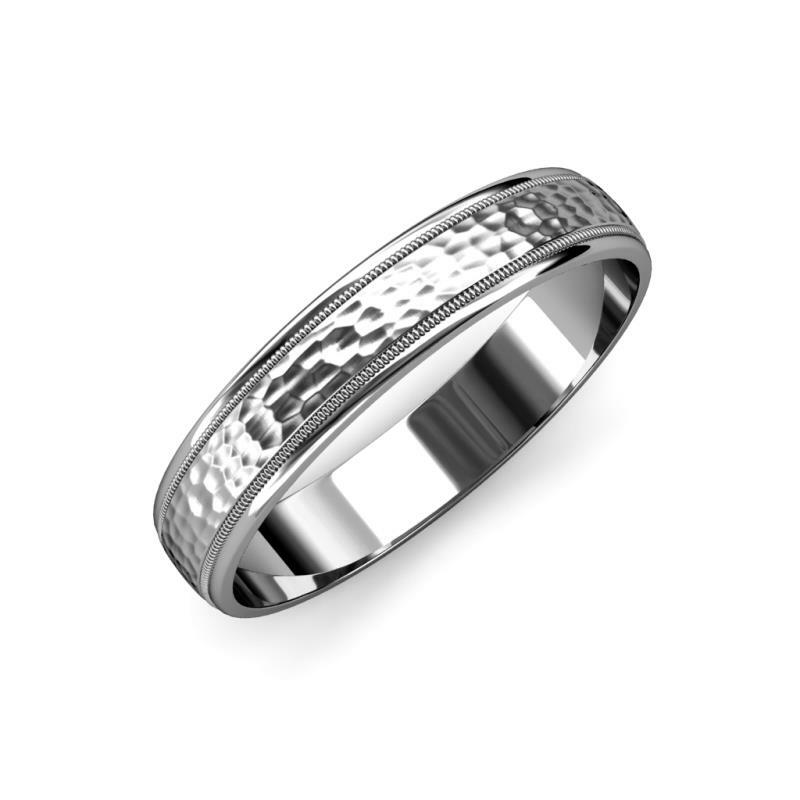 Hammer Finish 6.00 mm Milgrain Wedding Band Make your vows with a Band that is designed with milgrain edges which makes the perfect combination of strength & effortless everyday style. Condition: $517 New In stock! Order now! Order in 6:01 hrs to get it by 30th Apr 2019 with Overnight Delivery Learn More. Normal processing time for this item is 5 to 6 business days before it ships and it will ship via your chosen ship method after the processing time is complete. Make your vows with a Band that is designed with milgrain edges which makes the perfect combination of strength & effortless everyday style. Hammer Finish Milgrain Wedding Band in 14K White Gold. Width of the Band is 6.00 mm.